A place for those random whiff ideas you have discovered which don't really fit into any category. Interesting. Looks like some basic 3D drawing and a simple render tool. This might even be a plane crafted for video gaming or flight sims. Continue pointed bulge at root of wing forward to prop and all the way back. Enhance it outward a little so there is slanted side to top and bottom of fuselage . Put on a “V” tail, other appropriate touches, and it can be attempt to reduce RCS of propeller plane. Radar absorbent finish on propeller blades and hub (rest of plane?) , F-117 type glass and framing. To me, picture hints at doing that. Where else would I put this? 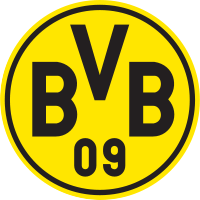 Gnaahr! This new-fangled environment-friendly aluminium foil is useless. Someone's been into my brain and extracted the idea of an Ankylosaurus with a Roman crew operating a Scorpio. 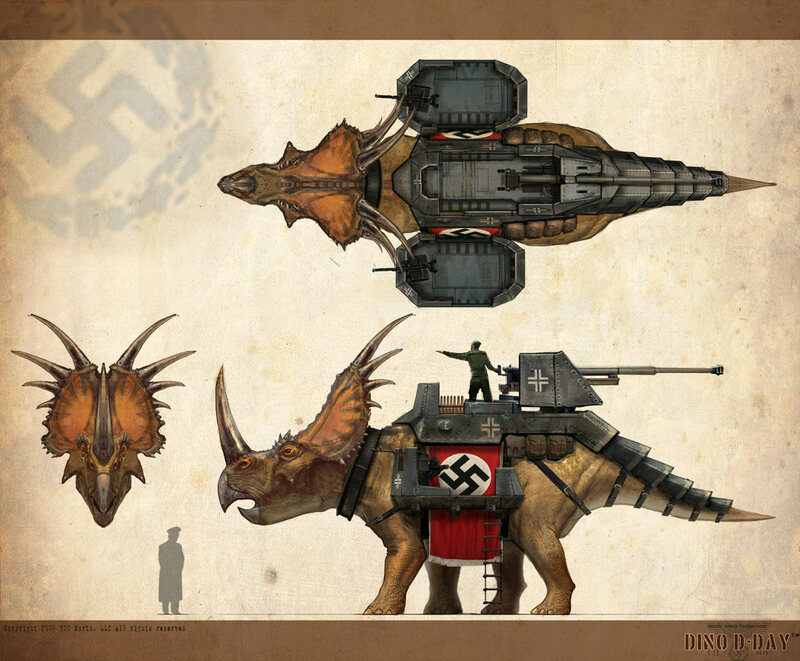 Of course, they had to go overboard and blow it out of proportion by using Ceratopsidae and the Third Reich. Typical! And despite the armored ridge plate behind the head, the beast should be wearing a "Pickelhaub". 4th post attempt- fingers crossed. I wonder...should a modern version have ERA? I've thought about a modern version of samurai armour equipped with ERA tiles. Handy for stopping rifle-calibre bullets. Until the samurai has closed to katana-range. Great!! But imagine if someone machine gunned him? Poor fella would probably keel over from concussion!! Sigh...the things I use an excuse to dig up images from Suckerpunch! 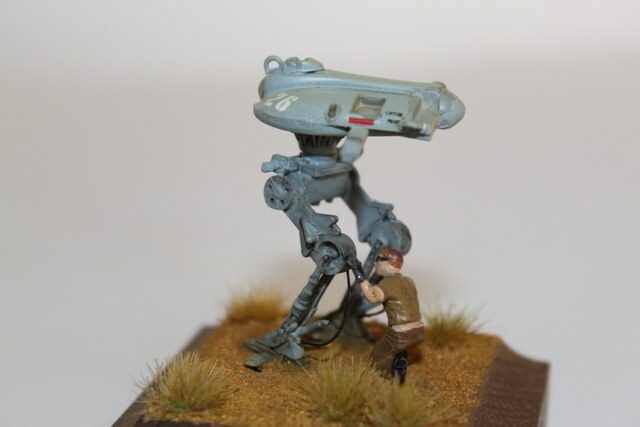 Click on image or html above to view the article at Modellversium.